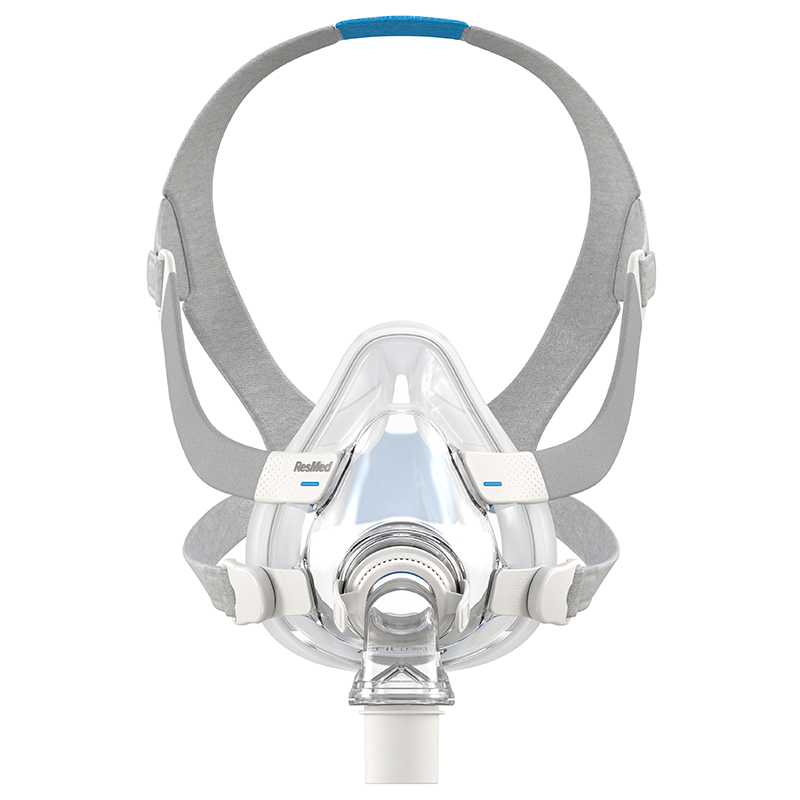 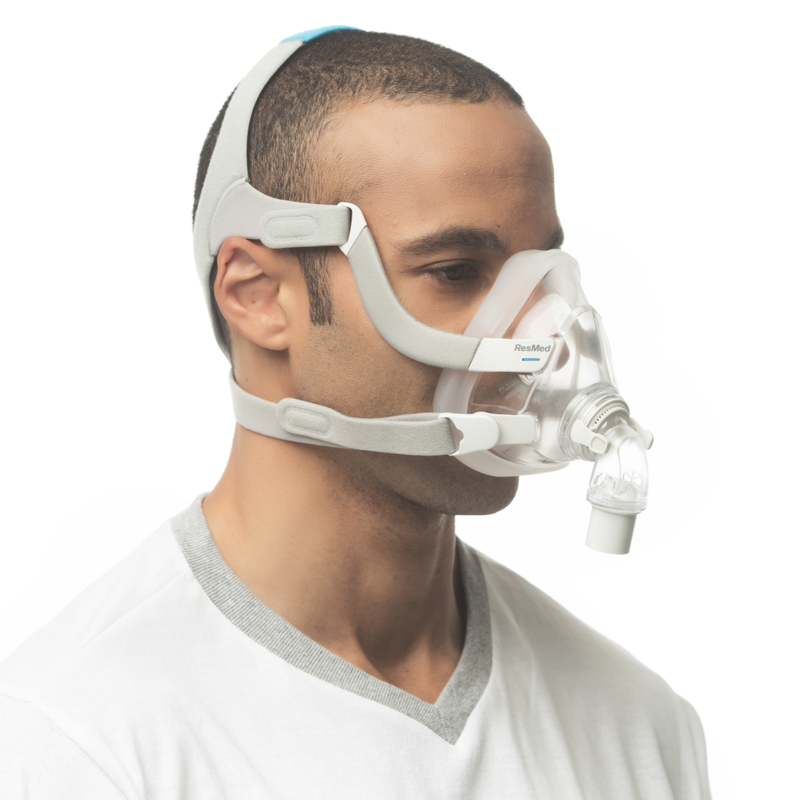 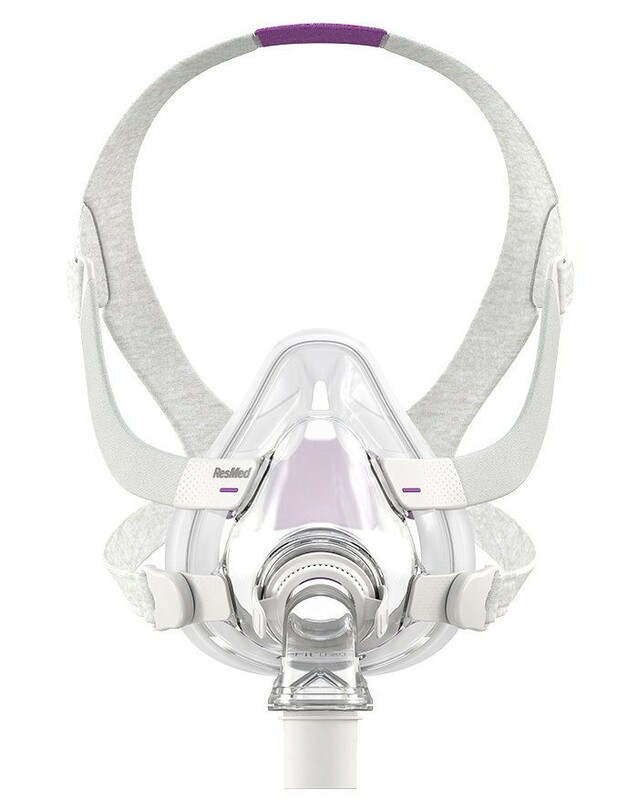 The AirFit™ F20 Full Face CPAP Mask with Headgear has a similar shape to the AirFit™ F10™ Full Face Mask which is set low beneath the eyes. 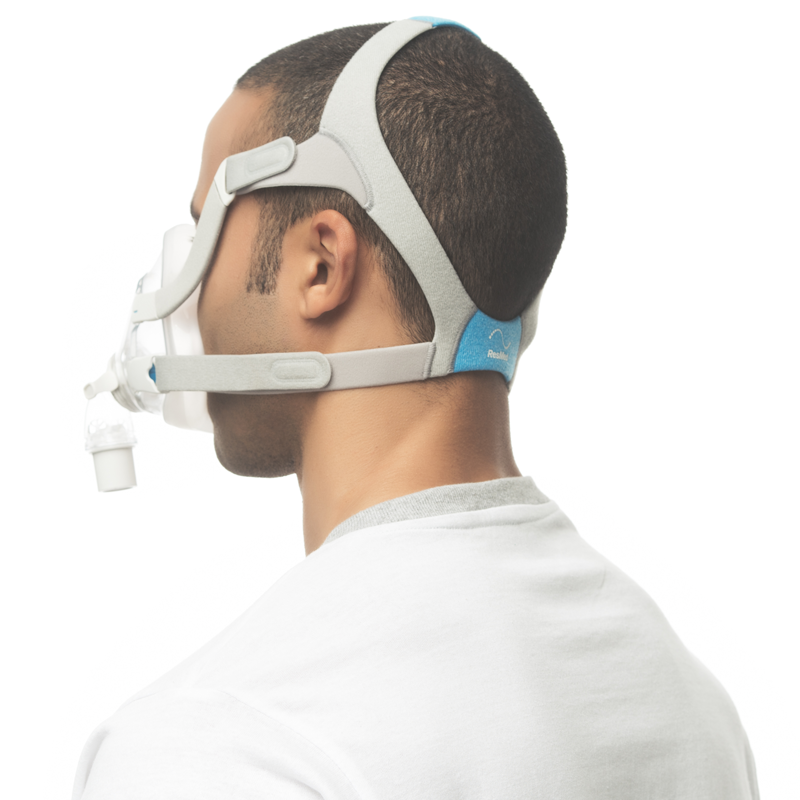 The open visibility aspect of the design allows users to read and watch TV before falling asleep. 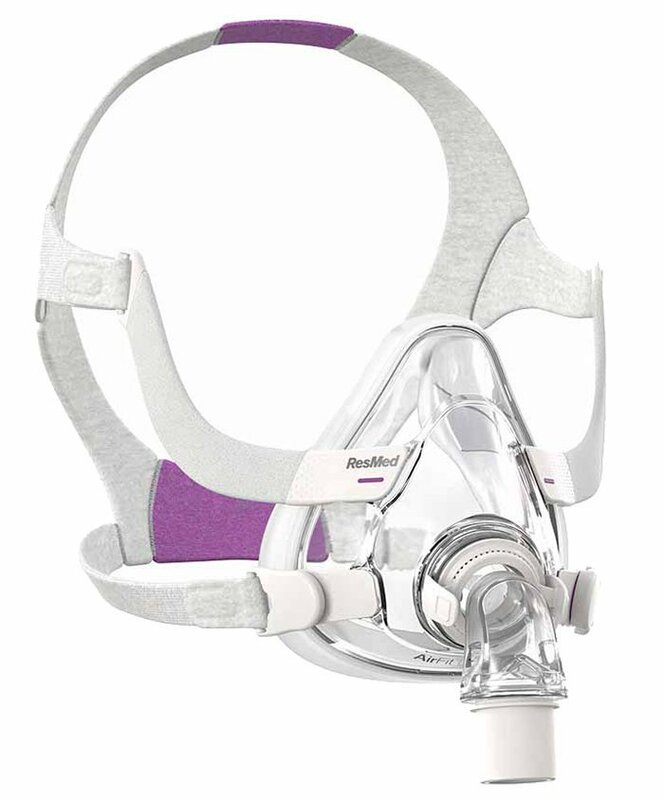 To increase the comfort of the mask, padding was added to the mask frame and headgear to increase wearability. 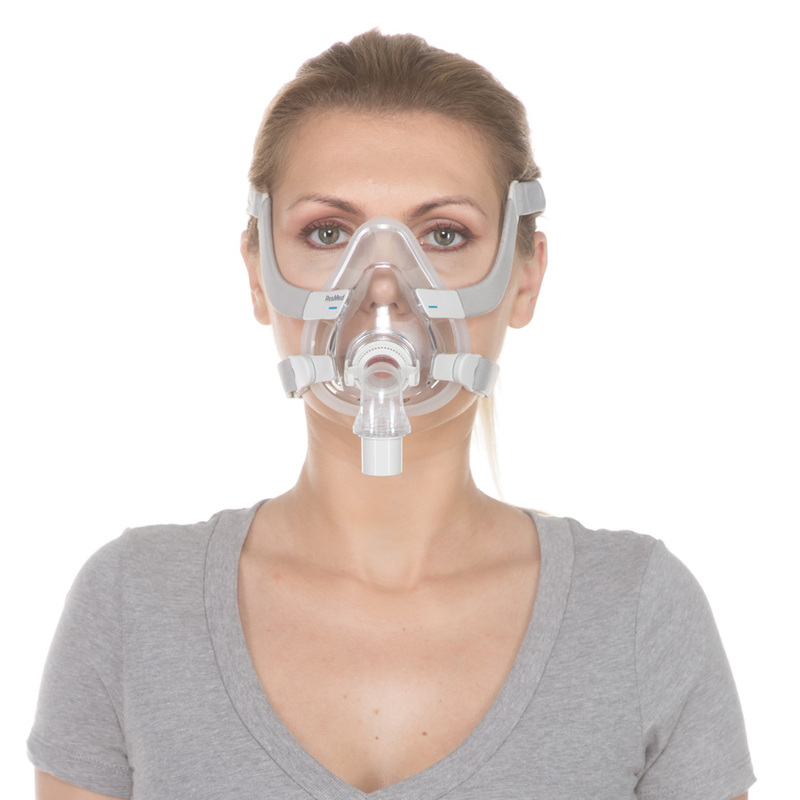 The InfinitySeal™ full face cushion starts at the bridge of the nose and falls below the mouth to provide CPAP therapy to the nose and mouth.